Elements Applied: Young twigs and leaves are commonly applied in herbal medicine. Other: pigments, resins and gums. 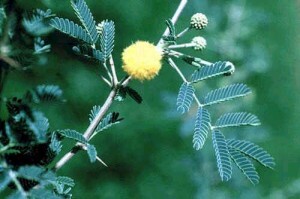 Used For: The remedy is beneficial due to its astringent properties. For this reason it’s applied for recurrent catarrh, dysentery, and recurrent diarrhea. The herb is characterized by its strong ability to reduce hemorrhage, as well as abnormal mucous excretions. It is applied topically for treating bleeding gums and mouth sores. According to scientific studies, Black Catechu is also able to reduce blood pressure. Historically, the plant was applied for diarrhea, diarrhea with colics, chronic dysentery and catarrh. Additional Info: Black Catechu is indigenous to Burma and India. Preparation and Intake: To prepare an infusion, take 0.5-2 grams of dried extract. To make a tincture use 45% alcoholic substance, and add the herb in a proportion 1:5. The common dose is 2,5-5 ml.